Grosvenor Smoke Bronze rugs offer simply delicious looks and a stylish finish that floors can't help but adore. The understated design of squares housing silky bronze stripes of luscious viscose is one that lends itself to any setting and any style of existing décor. The raised stripes emit slightly different hues from alternate viewing angles as the light kisses the 60% viscose pile which is otherwise known as art silk. 40% pure new wool completes the heavyweight 2600g pile content of this premium quality Indian hand woven rug. 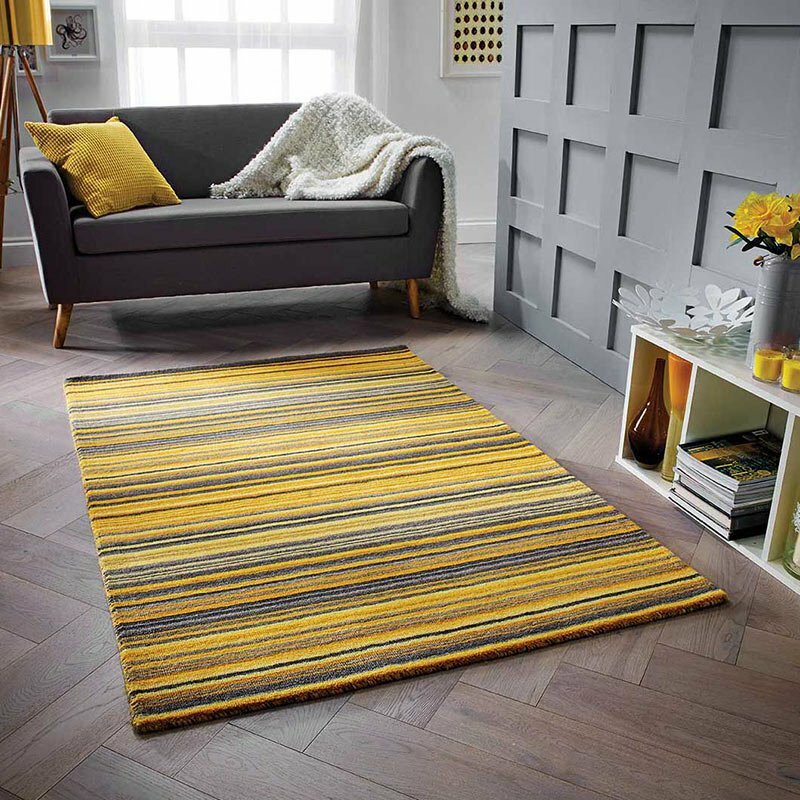 Ideal for home, office or lounge areas where a statement rug is required; Grosvenor is perfect for creating a desirable finish without causing too much of a fuss - simple is beautiful. Custom sizes are available although the 3 off the shelf floor sizes 120x180cm, 160x230cm or the extra large 200x300cm usually cater for most room sizes. Grosvenor rugs - a 10mm pile to give your lounge a smile (or bedroom, study, snug, conservatory, living room etc).